Philosophy is the study of general problems concerning matters such as existence, knowledge, truth, beauty, justice, validity, mind, and language. Philosophy is distinguished from other ways of addressing these questions (such as mysticism or mythology) by its critical, generally systematic approach and its reliance on reasoned argument. The word philosophy is of Ancient Greek origin: φιλοσοφία (philosophía), meaning "love of wisdom." To give an exhaustive list of the main branches of philosophy is difficult, because there have been different, equally acceptable divisions at different times, and the divisions are often relative to the concerns of a particular period. However, the following branches are usually accepted as the main areas of study. Metaphysics investigates the nature of being and the world. Traditional branches are cosmology and ontology. Ethics, or 'moral philosophy', is concerned with questions of how persons ought to act or if such questions are answerable. The main branches of ethics are meta-ethics, normative ethics, and applied ethics. Meta-ethics concerns the nature of ethical thought, comparison of various ethical systems, whether there are absolute ethical truths, and how such truths could be known. Ethics is also associated with the idea of morality. 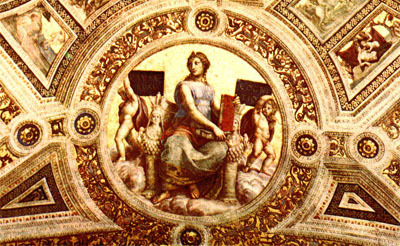 Plato's early dialogues include a search for definitions of virtue. Logic deals with patterns of thinking that lead from true premises to true conclusions, originally developed in Ancient Greece. Beginning in the late 19th century, mathematicians such as Frege focused on a mathematical treatment of logic, and today the subject of logic has two broad divisions: mathematical logic (formal symbolic logic) and what is now called philosophical logic. Philosophy of language is the reasoned inquiry into the nature, origins, and usage of language. Most academic subjects have a philosophy, for example the philosophy of science, the philosophy of mathematics, the philosophy of logic and the philosophy of history. In addition, a range of academic subjects has emerged to deal with areas which would have historically been the subject of philosophy. These include psychology, anthropology and science. The introduction of the terms "philosopher" and "philosophy" has been ascribed to the Greek thinker Pythagoras (see Diogenes Laertius: "De vita et moribus philosophorum", I, 12; Cicero: "Tusculanae disputationes", V, 8-9). The ascription is based on a passage in a lost work of Herakleides Pontikos, a disciple of Aristotle. It is considered to be part of the widespread legends of Pythagoras of this time. "Philosopher" replaced the word "sophist" (from sophoi), which was used to describe "wise men," teachers of rhetoric, who were important in Athenian democracy. Ancient philosophy is the philosophy of the Graeco-Roman world from the sixth century [circa 585] B.C. to the fourth century A.D. It is usually divided into four periods: the pre-Socratic period, the periods of Plato and Aristotle, and the post-Aristotelian (or Hellenistic) period. Sometimes a fifth period is added that includes the Christian and Neo-Platonist philosophers. The most important of the ancient philosophers (in terms of subsequent influence) are Plato and Aristotle. 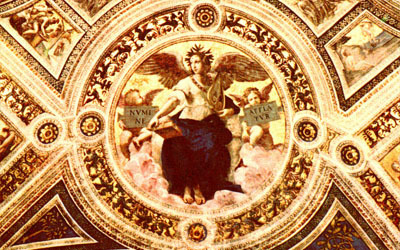 The themes of ancient philosophy are: understanding the fundamental causes and principles of the universe; explaining it in an economical and uniform way; the epistemological problem of reconciling the diversity and change of the natural universe, with the possibility of obtaining fixed and certain knowledge about it; questions about things which cannot be perceived by the senses, such as numbers, elements, universals, and gods; the analysis of patterns of reasoning and argument; the nature of the good life and the importance of understanding and knowledge in order to pursue it; the explication of the concept of justice, and its relation to various political systems. Medieval philosophy is the philosophy of Western Europe and the Middle East during what is now known as the medieval era or the Middle Ages, roughly extending from the fall of the Roman Empire to the Renaissance. Medieval philosophy is defined partly by the rediscovery and further development of classical Greek and Hellenistic philosophy, and partly by the need to address theological problems and to integrate sacred doctrine (in Islam, Judaism and Christianity) with secular learning. Philosophers from the Middle Ages include the Muslim philosophers Alkindus, Alfarabi, Alhazen, Avicenna, Algazel, Avempace, Abubacer and Averroes; the Jewish philosophers Maimonides and Gersonides; and the Christian philosophers Anselm, Peter Abelard, Roger Bacon, Thomas Aquinas, Duns Scotus, William of Ockham and Jean Buridan. 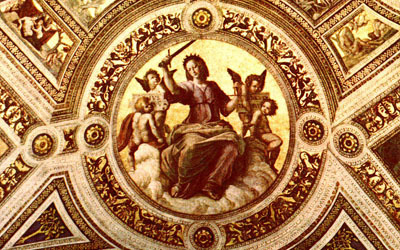 The Renaissance ('rebirth') was a period of transition between the theological philosophy of the Middle Ages and modern thought, in which Latin began to lose its role of the standard language for philosophical discussion. The study of classics (especially Plato and Neoplatonism) and of the humane arts, such as history and literature enjoyed a new popularity. 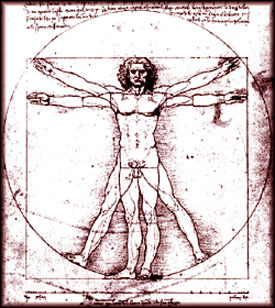 The concept of man became the central object of philosophical reflection (most notably in Montaigne and Pico della Mirandola). With the loosening of theological strictures on thought, the Renaissance renewed interest in magic, in hidden ways of knowing and mastering nature (in Pico and Marsilio Ficino for example). This revival of esotericism coincided with a rebirth of natural philosophy, as in Nicholas of Kues, Giordano Bruno, Francis Bacon and Telesius. Ethical and political philosophy was revived by the work of Machiavelli and in the utopias of Thomas More, Tommaso Campanella and Francis Bacon. Within Christianity itself, these new movements dovetailed closely with the Reformation. Modern philosophy begins with the revival of skepticism and the rise of modern physical science. Philosophy in this period centers on the relation between experience and reality, the ultimate origin of knowledge, the nature of the mind and its relation to the body, the implications of the new natural sciences for free will and God, and the emergence of a secular basis for moral and political philosophy. Canonical figures include Hobbes, Descartes, Locke, Spinoza, Leibniz, Berkeley, Hume, and Kant. Chronologically, this era spans the 17th and 18th centuries, and is generally considered to end with Kant's systematic attempt to reconcile Newtonian physics with traditional metaphysical topics. Later modern philosophy is usually considered to begin after the philosophy of Immanuel Kant at the beginning of the 19th-century. German idealists, such as Fichte, Hegel, and Schelling, expanded on the work of Kant by maintaining that the world is constituted by a rational mind-like process, and as such is entirely knowable. In the Anglophone world, analytic philosophy became the dominant school. In the first half of the century, it was a cohesive school, more or less identical to logical positivism, united by the notion that philosophical problems could and should be solved by attention to logic and language. In the latter half of the twentieth century, analytic philosophy diffused into a wide variety of disparate philosophical views, only loosely united by historical lines of influence and a self-identified commitment to clarity and rigor. Since roughly 1960, analytic philosophy has shown a revival of interest in the history of philosophy, as well as attempts to integrate philosophical work with scientific results, especially in psychology and cognitive science. On continental Europe, no single school or temperament enjoyed dominance. The flight of the logical positivists from central Europe during the 1930s and 1940s, however, diminished philosophical interest in natural science, and an emphasis on the humanities, broadly construed, figures prominently in what is usually called "continental philosophy". Twentieth century movements such as phenomenology, existentialism, hermeneutics, structuralism, and poststructuralism are included within this loose category. Realism sometimes means the position opposed to the 18th-century Idealism, namely that some things have real existence outside the mind. Classically, however, realism is the doctrine that abstract entities corresponding to universal terms like 'man' have a real existence via the branches of philosophy known as metaphysics and in specific ontology. It is opposed to nominalism, the view that abstract or universal terms are words only, or denote mental states such as ideas, beliefs, or intentions. The latter position, developed by Peter Abelard and famously held by William of Ockham, is called conceptualism. The first rationalist, in this broad sense, is often held to be Parmenides (fl. 480 BC), who argued that it is impossible to doubt that thinking actually occurs. But thinking must have an object, therefore something beyond thinking really exists. Parmenides deduced that what really exists must have certain properties � for example, that it cannot come into existence or cease to exist, that it is a coherent whole, that it remains the same eternally (in fact, exists altogether outside time). This is known as the third man argument. Zeno of Elea (born c. 489 BC) was a disciple of Parmenides, and argued that motion is impossible, since the assertion that it exists implies a contradiction. 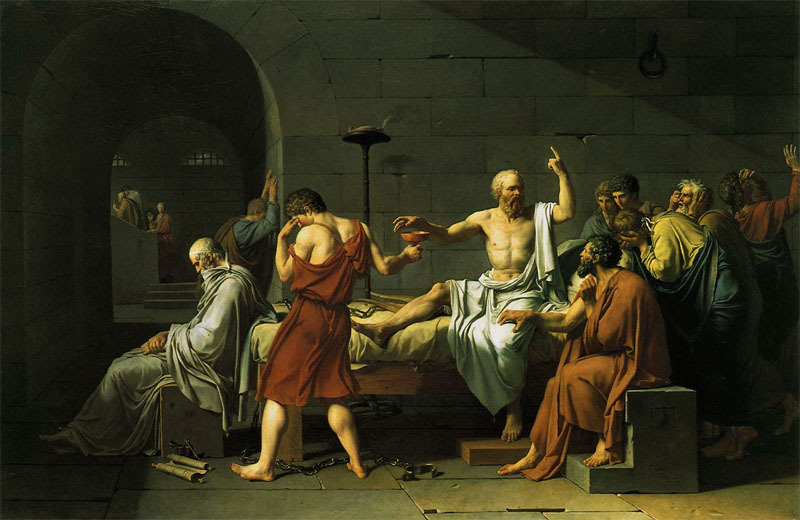 Plato (427�347 BC) was also influenced by Parmenides, but combined rationalism with a form of realism. The philosopher's work is to consider being, and the essence (ousia) of things. But the characteristic of essences is that they are universal. The nature of a man, a triangle, a tree, applies to all men, all triangles, all trees. Plato argued that these essences are mind-independent 'forms', that humans (but particularly philosophers) can come to know by reason, and by ignoring the distractions of sense-perception. 1. Is an idea a true copy of the real thing that it represents? Sensation is not a direct interaction between bodily objects and our sense, but is a physiological process involving representation (for example, an image on the retina). Locke thought that a 'secondary quality' such as a sensation of green could in no way resemble the arrangement of particles in matter that go to produce this sensation, although he thought that 'primary qualities' such as shape, size, number, were really in objects. 2. How can physical objects such as chairs and tables, or even physiological processes in the brain, give rise to mental items such as ideas? This is part of what became known as the mind-body problem. 3. If all the contents of awareness are ideas, how can we know that anything exists apart from ideas? "ability to place in antithesis, in any manner whatever, appearances and judgments, and thus [�] to come first of all to a suspension of judgment and then to mental tranquility." Skepticism so conceived is not merely the use of doubt, but is the use of doubt for a particular end: a calmness of the soul, or ataraxia. Skepticism poses itself as a challenge to dogmatism, whose adherents think they have found the truth. Skepticism was revived in the early modern period by Michel de Montaigne and Blaise Pascal. Its most extreme exponent, however, was David Hume. Hume argued that there are only two kinds of reasoning: what he called probable and demonstrative (cf Hume's fork). Neither of these two forms of reasoning can lead us to a reasonable belief in the continued existence of an external world. Demonstrative reasoning cannot do this, because demonstration (that is, deductive reasoning from well-founded premises) alone cannot establish the uniformity of nature (as captured by scientific laws and principles, for example). Such reason alone cannot establish that the future will resemble the past. We have certain beliefs about the world (that the sun will rise tomorrow, for example), but these beliefs are the product of habit and custom, and do not depend on any sort of logical inferences from what is already given certain. But probable reasoning (inductive reasoning), which aims to take us from the observed to the unobserved, cannot do this either: it also depends on the uniformity of nature, and this supposed uniformity cannot be proved, without circularity, by any appeal to uniformity. The best that either sort of reasoning can accomplish is conditional truth: if certain assumptions are true, then certain conclusions follow. So nothing about the world can be established with certainty. Hume concludes that there is no solution to the skeptical argument � except, in effect, to ignore it. Idealism is the epistemological doctrine that nothing can be directly known outside of the minds of thinking beings. Or in an alternative stronger form, it is the metaphysical doctrine that nothing exists apart from minds and the "contents" of minds. In modern Western philosophy, the epistemological doctrine begins as a core tenet of Descartes � that what is in the mind is known more reliably than what is known through the senses. The first prominent modern Western idealist in the metaphysical sense was George Berkeley. Berkeley argued that there is no deep distinction between mental states, such as feeling pain, and the ideas about so-called "external" things, that appear to us through the senses. There is no real distinction, in this view, between certain sensations of heat and light that we experience, which lead us to believe in the external existence of a fire, and the fire itself. Those sensations are all there is to fire. Berkeley expressed this with the Latin formula esse est percipi: to be is to be perceived. In this view the opinion, "strangely prevailing upon men", that houses, mountains, and rivers have an existence independent of their perception by a thinking being is false. Forms of idealism were prevalent in philosophy from the 18th century to the early 20th century. Transcendental idealism, advocated by Immanuel Kant, is the view that there are limits on what can be understood, since there is much that cannot be brought under the conditions of objective judgment. Kant wrote his Critique of Pure Reason (1781�1787) in an attempt to reconcile the conflicting approaches of rationalism and empiricism, and to establish a new groundwork for studying metaphysics. Kant's intention with this work was to look at what we know and then consider what must be true about it, as a logical consequence of the way we know it. One major theme was that there are fundamental features of reality that escape our direct knowledge because of the natural limits of the human faculties. Although Kant held that objective knowledge of the world required the mind to impose a conceptual or categorical framework on the stream of pure sensory data � a framework including space and time themselves � he maintained that things-in-themselves existed independently of our perceptions and judgments; he was therefore not an idealist in any simple sense. Indeed, Kant's account of things-in-themselves is both controversial and highly complex. Continuing his work, Johann Gottlieb Fichte and Friedrich Schelling dispensed with belief in the independent existence of the world, and created a thoroughgoing idealist philosophy. The most notable work of this German idealism was G.W.F. Hegel's Phenomenology of Spirit, of 1807. Hegel admitted his ideas weren't new, but that all the previous philosophies had been incomplete. His goal was to correctly finish their job. Hegel asserts that the twin aims of philosophy are to account for the contradictions apparent in human experience (which arise, for instance, out of the supposed contradictions between "being" and "not being" ), and also simultaneously to resolve and preserve these contradictions by showing their compatibility at a higher level of examination ("being" and "not being" are resolved with "becoming") . This program of acceptance and reconciliation of contradictions is known as the "Hegelian dialectic". Philosophers in the Hegelian tradition include Ludwig Andreas Feuerbach, who coined the term projection as pertaining to our inability to recognize anything in the external world without projecting qualities of ourselves upon those things; Karl Marx; Friedrich Engels; and the British idealists, notably T.H. Green, J.M.E. McTaggart, and F.H. Bradley. Pragmatism was founded in the spirit of finding a scientific concept of truth, which is not dependent on either personal insight (or revelation) or reference to some metaphysical realm. The truth of a statement should be judged by the effect it has on our actions and truth should be seen as that which the whole of scientific enquiry will ultimately agree on. This should probably be seen as a guiding principle more than a definition of what it means for something to be true, though the details of how this principle should be interpreted have been subject to discussion since Peirce first conceived it. Like postmodern neo-pragmatist Richard Rorty, many are convinced that Pragmatism asserts that the truth of beliefs does not consist in their correspondence with reality, but in their usefulness and efficacy. The late 19th-century American philosophers Charles Peirce and William James were its co-founders, and it was later developed by John Dewey as instrumentalism. Since the usefulness of any belief at any time might be contingent on circumstance, Peirce and James conceptualised final truth as that which would be established only by the future, final settlement of all opinion. Critics have accused pragmatism of falling victim to a simple fallacy: because something that is true proves useful, that usefulness is the basis for its truth. Thinkers in the pragmatist tradition have included John Dewey, George Santayana, W.V.O. Quine and C.I. Lewis. Pragmatism has more recently been taken in new directions by Richard Rorty, John Lachs, Donald Davidson and Hilary Putnam. In the first part of his two-volume work, the Logical Investigations (1901), he launched an extended attack on psychologism. In the second part, he began to develop the technique of descriptive phenomenology, with the aim of showing how objective judgments are indeed grounded in conscious experience � not, however, in the first-person experience of particular individuals, but in the properties essential to any experiences of the kind in question. Existentialism is a term which has been applied to the work of a number of late nineteenth and twentieth century philosophers who, despite profound doctrinal differences, shared the belief that philosophical thinking begins with the human subject�not merely the thinking subject, but the acting, feeling, living human individual. In existentialism, the individual's starting point is characterized by what has been called "the existential attitude", or a sense of disorientation and confusion in the face of an apparently meaningless or absurd world. Many existentialists have also regarded traditional systematic or academic philosophy, in both style and content, as too abstract and remote from concrete human experience. Although they didn't use the term, the nineteenth century philosophers Søren Kierkegaard and Friedrich Nietzsche are widely regarded as the fathers of existentialism. Their influence, however, has extended beyond existentialist thought. Sartre became the best-known proponent of existentialism, exploring it not only in theoretical works such as Being and Nothingness , but also in plays and novels. Sartre, along with Simone de Beauvoir, represented an avowedly atheistic branch of existentialism, which is now more closely associated with their ideas of nausea, contingency, bad faith, and the absurd than with Kierkegaard's spiritual angst. Nevertheless, the focus on the individual human being, responsible before the universe for the authenticity of his or her existence, is common to all these thinkers. Inaugurated by the linguist Ferdinand de Saussure, structuralism sought to clarify systems of signs through analysing the discourses they both limit and make possible. Saussure conceived of the sign as being delimited by all the other signs in the system, and ideas as being incapable of existence prior to linguistic structure, which articulates thought. This led continental thought away from humanism, and toward what was termed the decentering of man: language is no longer spoken by man to express a true inner self, but language speaks man. Structuralism sought the province of a hard science, but its positivism soon came under fire by poststructuralism, a wide field of thinkers, some of whom were once themselves structuralists, but later came to criticize it. Structuralists believed they could analyse systems from an external, objective standing, for example, but the poststructuralists argued that this is incorrect, that one cannot transcend structures and thus analysis is itself determined by what it examines, that systems are ultimately self-referential. Furthermore, while the distinction between the signifier and signified was treated as crystalline by structuralists, poststructuralists asserted that every attempt to grasp the signified would simply result in the proliferation of more signifiers, so meaning is always in a state of being deferred, making an ultimate interpretation impossible. Structuralism came to dominate continental philosophy from the 1960s onward, encompassing thinkers as diverse as Michel Foucault, Jacques Derrida and Jacques Lacan. The term analytic philosophy roughly designates a group of philosophical methods that stress detailed argumentation, attention to semantics, use of classical logic and non-classical logics and clarity of meaning above all other criteria. Michael Dummett in his Origins of Analytical Philosophy makes the case for counting Gottlob Frege The Foundations of Arithmetic as the first analytic work, on the grounds that in that book Frege took the linguistic turn, analysing philosophical problems through language. Bertrand Russell and G.E. Moore are also often counted as founders of analytic philosophy, beginning with their rejection of British idealism, their defense of realism and the emphasis they laid on the legitimacy of analysis. Russell's classic works The Principles of Mathematics, On Denoting and Principia Mathematica, aside from greatly promoting the use of classical first order logic in philosophy, set the ground for much of the research program in the early stages of the analytic tradition, emphasising such problems as: the reference of proper names, whether existence is a property, the meaning of propositions, the analysis of definite descriptions, the discussions on the foundations of mathematics; as well as exploring issues of metaphysical commitment and even metaphysical problems regarding time, the nature of matter, mind, persistence and change, which Russell tackled often with the aid of mathematical logic. The philosophy developed as a critique of Hegel and his followers in particular, and of grand systems of speculative philosophy in general, though by no means all analytic philosophers reject the philosophy of Hegel nor speculative philosophy. Some schools in the group include logical atomism, logical positivism, and ordinary language. The motivation behind the work of analytic philosophers has been varied. Some have held that philosophical problems arise through misuse of language or because of misunderstandings of the logic of our language, while some maintain that there are genuine philosophical problems and that philosophy is continuous with science. In 1921, Ludwig Wittgenstein published his Tractatus Logico-Philosophicus, which gave a rigidly "logical" account of linguistic and philosophical issues. At the time, he understood most of the problems of philosophy as mere puzzles of language, which could be solved by investigating and then minding the logical structure of language. Years later he would reverse a number of the positions he had set out in the Tractatus, in for example his second major work, Philosophical Investigations (1953). Investigations was influential in the development of "ordinary language philosophy", which was promoted by Gilbert Ryle, J.L. Austin, and a few others. In the United States, meanwhile, the philosophy of W. V. O. Quine was having a major influence, with such classics as Two Dogmas of Empiricism. In that paper Quine criticizes the distinction between analytic and synthetic statements, arguing that a clear conception of analyticity is unattainable. He argued for holism, the thesis that language, including scientific language, is a set of interconnected sentences, none of which can be verified on its own, rather, the sentences in the language depend on each other for their meaning and truth conditions. A consequence of Quine's approach is that language as a whole has only a very thin relation to experience, some sentences which refer directly to experience might be somewhat modified by sense impressions, but as the whole of language is theory-laden, for the whole language to be modified, more than this is required. However, most of the linguistic structure can in principle be revised, even logic, in order to better model the world. Notable students of Quine include Donald Davidson and Daniel Dennett. The former devised a program for giving a semantics to natural language and thereby answer the philosophical conundrum 'what is meaning?'. A crucial part of the program was the use of Alfred Tarski's semantic theory of truth. Dummett, among others, argued that truth conditions should be dispensed with in the theory of meaning, and replaced by assertibility conditions. Some propositions, on this view, are neither true nor false, and thus such a theory of meaning entails a rejection of the law of the excluded middle. This, for Dummett, entails antirealism, as Russell himself pointed out in An Inquiry into Meaning and Truth. By the 1970s there was a renewed interest in many traditional philosophical problems by the younger generations of analytic philosophers. David Lewis, Saul Kripke, Derek Parfit and others took an interest in traditional metaphysical problems, which they began exploring by the use of logic and philosophy of language. Among those problems some distinguished ones were: free will, essentialism, the nature of personal identity, identity over time, the nature of the mind, the nature of causal laws, space-time, the properties of material beings, modality, etc. In those universities where analytic philosophy has spread, these problems are still being discussed passionately. Analytic philosophers are also interested in the methodology of analytic philosophy itself, with Timothy Williamson, Wykeham Professor of Logic at Oxford, publishing recently a book entitled The Philosophy of Philosophy. Some notable figures in contemporary analytic philosophy are: Timothy Williamson, John Searle, Thomas Nagel, Hilary Putnam, Michael Dummett, and Saul Kripke. Analytic philosophy has sometimes been accused of not contributing to the political debate or to traditional questions in aesthetics, however, with the appearance of A Theory of Justice by John Rawls and Anarchy, State and Utopia by Robert Nozick, analytic political philosophy acquired respectability. Analytic philosophers have also showed depth in their investigations of aesthetics, with Roger Scruton, Richard Wollheim, Jerrold Levinson and others developing the subject to its current shape. From ancient times, and well beyond them, the roots of justification for political authority were inescapably tied to outlooks on human nature. In The Republic, Plato declared that the ideal society would be run by a council of philosopher-kings, since those best at philosophy are best able to realize the good. Even Plato, however, required philosophers to make their way in the world for many years before beginning their rule at the age of fifty. For Aristotle, humans are political animals (i.e. social animals), and governments are set up in order to pursue good for the community. Aristotle reasoned that, since the state (polis) was the highest form of community, it has the purpose of pursuing the highest good. Aristotle viewed political power as the result of natural inequalities in skill and virtue. Because of these differences, he favored an aristocracy of the able and virtuous. For Aristotle, the person cannot be complete unless he or she lives in a community. His The Nicomachean Ethics and The Politics are meant to be read in that order. 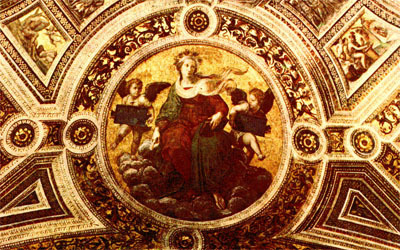 The first book addresses virtues (or "excellences") in the person as a citizen; the second addresses the proper form of government to ensure that citizens will be virtuous, and therefore complete. Both books deal with the essential role of justice in civic life. Many in the Enlightenment were unsatisfied with existing doctrines in political philosophy, which seemed to marginalize or neglect the possibility of a democratic state. Jean-Jacques Rousseau was among those who attempted to overturn these doctrines: he responded to Hobbes by claiming that a human is by nature a kind of "noble savage", and that society and social contracts corrupt this nature. Another critic was John Locke. In Second Treatise on Government he agreed with Hobbes that the nation-state was an efficient tool for raising humanity out of a deplorable state, but he argued that the sovereign might become an abominable institution compared to the relatively benign unmodulated state of nature. Marxism is derived from the work of Karl Marx and Friedrich Engels. Their idea that the capitalism is based on exploitation of workers and causes alienation of people from their human nature, the historical materialism, their view of social classes, etc., have influenced many fields of study, such as sociology, economics, and politics. Marxism inspired the Marxist school of communism, which brought a huge impact on the history of the 20th century. One debate that has commanded the attention of ethicists in the modern era has been between consequentialism (actions are to be morally evaluated solely by their consequences) and deontology (actions are to be morally evaluated solely by consideration of agents' duties, the rights of those whom the action concerns, or both). The thoughts a society thinks have profound repercussions on what it does. The applied study of philosophy yields applications such as those in ethics � applied ethics in particular � and political philosophy. The political and economic philosophies of Confucius, Sun Zi, Chanakya, Ibn Khaldun, Ibn Rushd, Ibn Taimiyyah, Niccolò Machiavelli, Gottfried Leibniz, John Locke, Jean-Jacques Rousseau, Karl Marx, John Stuart Mill, Mahatma Gandhi, Martin Luther King Jr. and others � all of these have been used to shape and justify governments and their actions. Other important applications can be found in epistemology, which aid in understanding the requisites for knowledge, sound evidence, and justified belief (important in law, economics, decision theory, and a number of other disciplines). The philosophy of science discusses the underpinnings of the scientific method and has affected the nature of scientific investigation and argumentation. This has profound impacts. For example, the strictly empirical approach of Skinner's behaviourism affected for decades the approach of the American psychological establishment. Deep ecology and animal rights examine the moral situation of humans as occupants of a world that has non-human occupants to consider also. Aesthetics can help to interpret discussions of music, literature, the plastic arts, and the whole artistic dimension of life. In general, the various philosophies strive to provide practical activities with a deeper understanding of the theoretical or conceptual underpinnings of their fields. Often philosophy is seen as an investigation into an area not sufficiently well understood to be its own branch of knowledge. What were once philosophical pursuits have evolved into the modern day fields such as psychology, sociology, linguistics, and economics, for example. But as such areas of intellectual endeavour proliferate and expand, so will the broader philosophical questions that they generate. Many societies have considered philosophical questions and built philosophical traditions based upon each other's works. 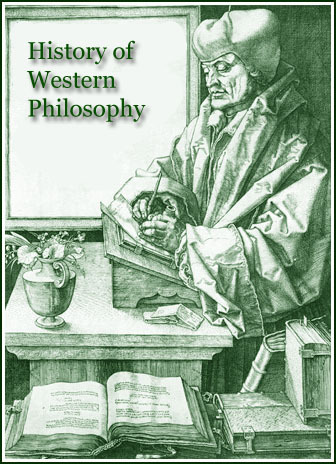 Eastern and Middle Eastern philosophical traditions have influenced Western philosophers. Russian (which many people consider Western), Jewish, Islamic, African, and recently Latin American philosophical traditions have contributed to, or been influenced by, Western philosophy: yet each has retained a distinctive identity. The origins of Babylonian philosophy can be traced back to the wisdom of early Mesopotamia, which embodied certain philosophies of life, particularly ethics, in the forms of dialectic, dialogs, epic poetry, folklore, hymns, lyrics, prose, and proverbs. The reasoning and rationality of the Babylonians developed beyond empirical observation. The Babylonian text Dialog of Pessimism contains similarities to the agonistic thought of the sophists, the Heraclitean doctrine of contrasts, and the dialogs of Plato, as well as a precursor to the maieutic Socratic method of Socrates and Plato. The Milesian philosopher Thales is also known to have studied philosophy in Mesopotamia. Confucius, illustrated in Myths & Legends of China, 1922, by E.T.C. Werner.Philosophy has had a tremendous effect on Chinese civilization, and East Asia as a whole. Many of the great philosophical schools were formulated during the Spring and Autumn Period and Warring States Period, and came to be known as the Hundred Schools of Thought. The four most influential of these were Confucianism, Taoism, Mohism, and Legalism. Later on, during the Tang Dynasty, Buddhism from India also became a prominent philosophical and religious discipline. (It should be noted that Eastern thought, unlike Western philosophy, did not express a clear distinction between philosophy and religion.) Like Western philosophy, Chinese philosophy covers a broad and complex range of thought, possessing a multitude of schools that address every branch and subject area of philosophy. 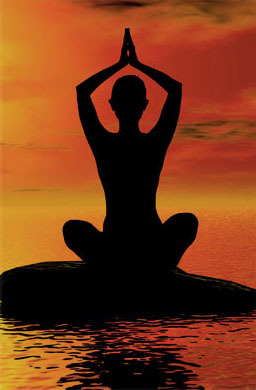 In the history of the Indian subcontinent, following the establishment of an Vedic culture, the development of philosophical and religious thought over a period of two millennia gave rise to what came to be called the six schools of astika, or orthodox, Indian or Hindu philosophy. These schools have come to be synonymous with the greater religion of Hinduism, which was a development of the early Vedic religion.